My inspiration and edification of being a ceramicist continues to flourish after 25 years. Currently, my vision is represented in specialty ceramic tile: mosaics, art, design and installations. Over the past two decades, my commissions include both private and public projects and continue to be a source of satisfying collaboration and creativity. I create personalized art and design of the finest quality and aesthetic from my Portland, Oregon studio. My private clients crave handmade tile, design and art and our collaborations reflect a marriage of creativity and craft. From a simple pattern to an ornate motif, I craft compositions for all interior and exterior spaces. 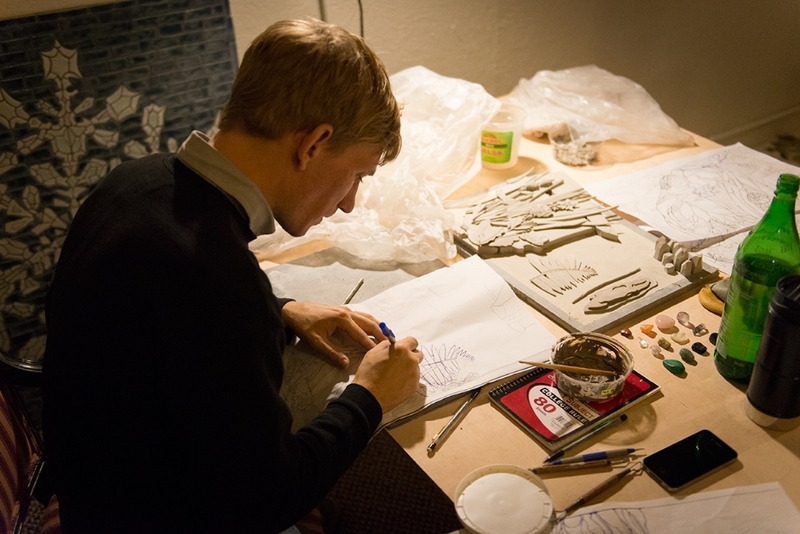 With a deep understanding of clay and glaze, I push the medium in design and technique. Innovation has always occurred naturally to achieve an aesthetic or function. My exploration of ceramics has also produced an on-going collaboration with Ann Sacks Tile & Stone as well as my patented RFG Firebox Tile — an innovation that fnally offers a unique resource to enhance the hearth with custom tile. Thank you for visiting my website and I invite you to take a look at a few featured projects as well as to subscribe for periodic photos and videos of current projects and happenings. This Bathroom is Beyond, Rose Garden and An Inside Look to learn more about my process. Greenberg is in constant dialogue with clay. The conceptions depict a spiritual integration of her life’s journey. From relevant to reflective, the art conveys a timbre that draws upon nature in all its configurations. Far from literal, however, it affirms the beauty of interconnectedness. Clay is a medium of perpetual discovery for Greenberg and her passion for it embodies innovation at all stages of the process creating shape, dimension, intricacy of color and luminosity below the surface. Ruth Frances Greenberg was born and raised in Guilford, CT, a picturesque coastal town, where she spent her childhood immersed in lush landscapes and exploring the Long Island Sound. Growing up in an early Colonial saltbox home, her New England surroundings instilled a reverence for history while her uniquely creative parents inspired an artistic sensibility that welcomed radical innovation. Design was a regular topic of conversation in the Greenberg home. Her mother, Elisabeth Norgaard a true aesthete, taught her daughter the significance of color, balance and scale. Father Allan Greenberg, a renowned architect, championed contemporary interpretations of classical style. The who’s-who of the architectural and design elite trickled in and out of the Greenberg home, drawing young Ruth Frances into inspired conversations and dreams of a future in the arts. 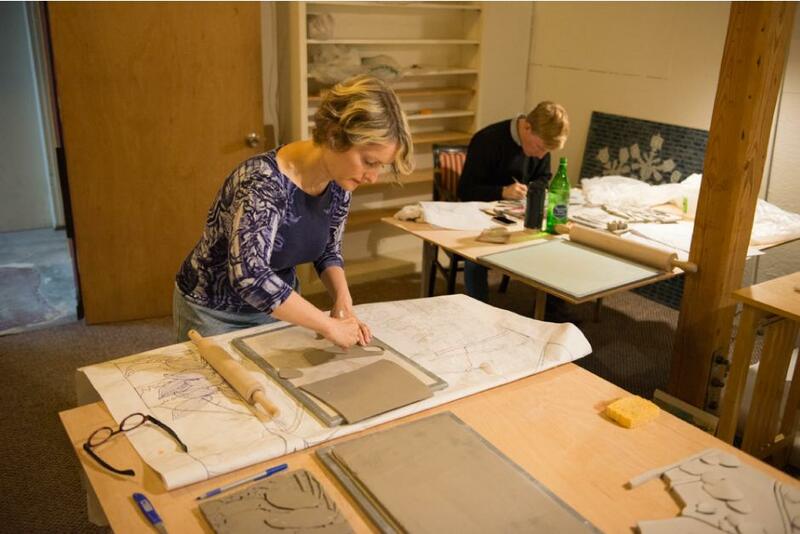 Bolstered by her parents’ encouragement, Greenberg began by working in clay while at Scripps College. This malleable medium allowed her to depict her inner most inspirations, be they from nature, ancient civilizations or sacred symbols. After completing her BA in art, the young artist moved on to Claremont Graduate University for her MA in education. Under the tutelage of esteemed ceramic artists, including Paul Soldner, Bev Magennis, Rimas Visgirda, Margie Allen, David Furman and Peter Voulkos, Greenberg built a technical foundation and innovative spirit during her student years, pushing the boundaries of traditional ceramics by experimenting with clay, glazes and firing methods. Her unique aesthetic flows from her thoughtful soul searching. “Making art engages my soul and is like breathing- utterly inseparable from every facet of my daily life,” she says. Her creative process is enhanced by decades of meditation, 21st Century Shamanism, Nadi Yoga, Sri Vidya, Reiki, Ayurveda and sound healing. These modalities provide Greenberg a heightened receptivity and clarity in her art-making and enable her to imbue her work with life-giving intention. For the past 25 years Greenberg has remained one of the most accomplished artists of her kind, one that is in demand for private and public commissions. 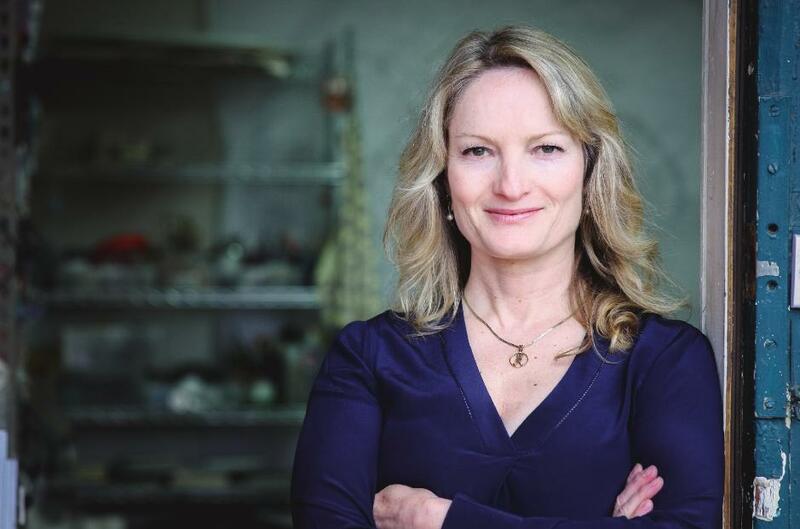 The New York Times, Wall Street Journal and LA Times have all given acclaim to her ceramics. Showcase homes throughout the nation feature her work in tiled bathrooms, sculpture gardens, outdoor entertaining locales, kitchens, firebox tile and Jacques Granges furniture. 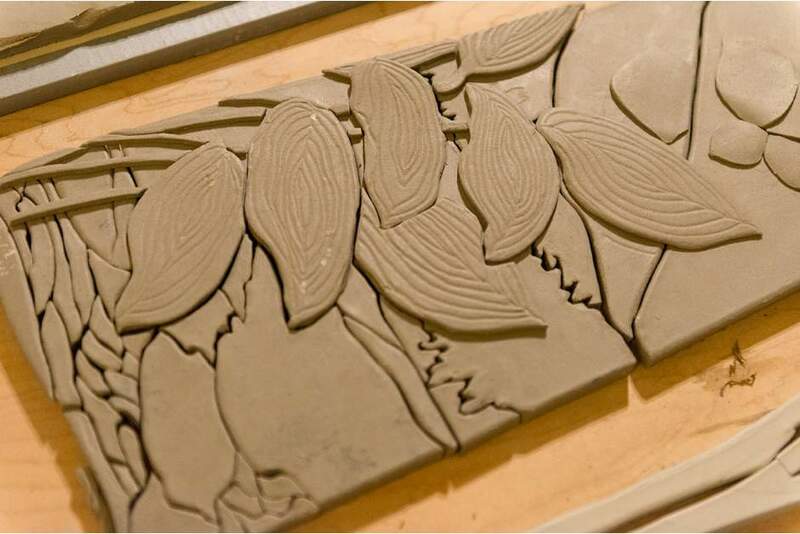 Commercially, Greenberg has created Perennial an art tile line for Ann Sacks, a luxury brand. Works on display in public include: mosaic signage on the Humanities buildings at Rice University, an outdoor sculptural mosaic in the Alberta Arts District in Portland, OR, a mosaic clock on the façade of Decoration & Design Building in New York, as well as mosaics at Yale and Princeton Universities. The artist and her father continue to collaborate on commissions together in both the private and public domain. 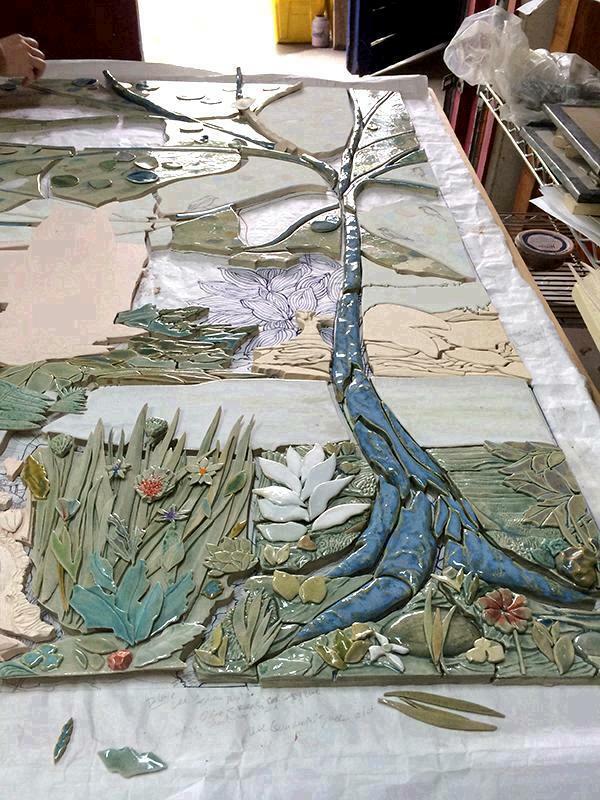 Always evolving, Greenberg molds her techniques of sculptural mosaics and glaze painting on clay with striking effect. Drawing upon dreams, the natural world and celebrating the present moment, she seeks to articulate the soul of her artful creations. Greenberg unveiled one-of-a-kind porcelain dishes made in collaboration with Robert Streff. Our dedication to sustainable practices is ongoing and absolutely fundamental to our creative work; we continue to look for ways to minimize our environmental footprint in our Portland, Oregon studio. We firmly believe that for a product to be truly high quality, it must also be produced in a manner that honors the environment, the community, and the people who make it. As a small studio, we are very hands-on and are able to monitor and evaluate our operations daily. Ceramic tiles enhance the accumulation of LEEDS points for your project. We are keeping pace with the developments of the Green Squared standard and the development of other industry evaluations. As part of our long-term vision, we will continue to look for ways to reduce our environmental footprint and ensure that our products are made with the highest standards of sustainability. It is flame and fire resistant. Our practices: We are committed to creating our high-quality ceramics with processes that are free from toxic materials and continue to strive to reduce our environmental footprint. As much as possible, materials are locally sourced. We shop locally and source locally even if it means the cost is higher. All of our clay is manufactured locally within 5 miles, and at least 25% of our glazes are manufactured locally as well. We use nontoxic glazes whenever possible. In addition, we fire all refuse glaze to make it inert. We capture it using a settling system and glaze traps in each sink ensure that less than 3% of our glazes enter the water system. Our work environment: In addition to our compliance with fair labor, health, and safety practices, RFG Tile employees are valued team members and enthusiastic participants in our sustainable production practices. These practices are of the highest priority, and permeate everything we do at the studio. Ruth Frances Greenberg's art is made in the USA.